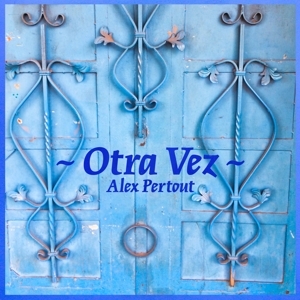 Alex Pertout presents Otra Vez. The album comprises of twelve works recorded in Cuba, Argentina, USA and Australia featuring an outstanding cast of national and international artists including guitarists Mike Stern, Alan Plachta and Leonard Grigoryan, flautist Dave Valentin, pianists Edsel Gomez, Paul Grabowsky, Joe Chindamo, Luke Howard, Tony Gould, David Alfaro and Colin Hopkins, vocalist Nilusha Dassenaike, sarodist Saby Battacharya, violinist William Roblejo, trumpeter Miroslav Bukovsky, bassists Frank Di Sario, Craig Newman and Evripides Evripidou, drummer David Jones and Tom E Lewis on didgeridoo and vocals. 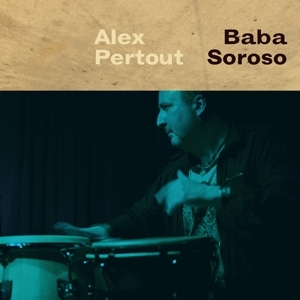 Alex Pertout presents Baba Soroso. The album features eight works recorded in Cuba, USA, England and Australia featuring an outstanding cast of national and international artists including guitarists Mike Stern and Leonard Grigoryan, tres master Pancho Amat, flautist Dave Valentin, pianists Paul Grabowsky, Joe Chindamo, Phil Turcio, Andrew Jones and Colin Hopkins, vocalist Nilusha Dassenaike, violinist William Roblejo, trumpeter Miroslav Bukovsky, bassists Frank Di Sario, Craig Newman and Evripides Evripidou, master percussionists Justo Pelladito and Hossam Ramzy, drummer David Jones and John Norton on oud. 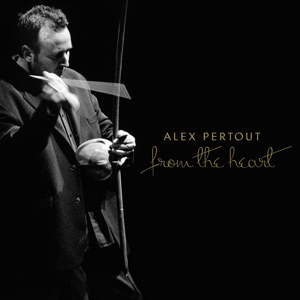 Alex Pertout presents From The Heart. The album features ten original compositions and masterful performances from a host of national and international artists including guitarists Mike Stern, Tommy Emmanuel and Matt Kirsch, pianists Tom Coster, Mark Levine, Paul Grabowsky, Joe Chindamo and Colin Hopkins, vocalists Kavisha Mazzella, Christine Sullivan, Steve Wade and Leonardo Salvo, flautist John Barret, saxophonist Lachlan Davidson, trumpeter Bobby Venier, harpist Mary Doumany, percussionists Raul Rekow and Hossam Ramzy, bassists Ben Robertson, Craig Newman and Jeremy Alsop, drummers David Jones, John Annas and Darryn Farrugia, his mother, soprano Cecilia Pertout Navarro as well as his brother Andrian Pertout on synthesizer. Alex Pertout took part in Jazziz presents Percussion On Fire. The album is a collection of original compositions by drummers and percussionists from around the globe. Described by the respected publication as "Jazziz enlisted the discerning ears of drummer Peter Erskine, vibraphonist Dave Samuels and percussionist Paulinho Da Costa to select the material, all which showcased a diversity of rhythmic languages. Works from Australia and Germany demonstrated a Latin American influence, while performers based in the US drew inspiration from music of Israel and Bulgaria. Our esteemed panel eventually settled on the twelve tracks featured in the disc." The composition Salvador (Alex Pertout) featuring highly acclaimed guitarist Tommy Emmanuel, pianist Colin Hopkins, trumpeter Bobby Venier, bassist Craig Newman and drummer Darryn Farrugia, takes part in this spirited Jazziz compilation. 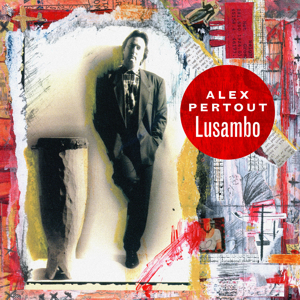 Alex Pertout presents his debut release Lusambo. 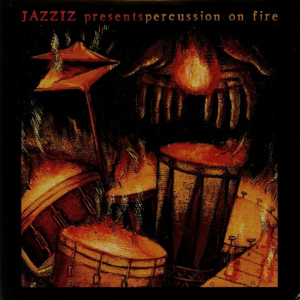 The album features twelve original compositions and a wonderful cast that includes drummers Virgil Donati and Derek Pellici, trumpeter Bobby Venier, flautist John Barrett, saxophonist Lachlan Davidson, pianist Colin Hopkins, guitarist Mario Genovese, bassist Michael Matthews, vocalists Linda George, Penny Dyer and Lindsay Field, his mother, soprano Cecilia Pertout Navarro as well as his brother Andrian Pertout on synthesizer. The recording was supported by an Australia Council for the Arts grant. 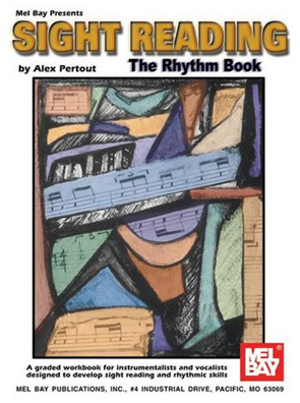 Alex Pertout presents his rhythmic development book Sight Reading: The Rhythm Book a graded workbook for instrumentalists and vocalists designed to develop sight reading and rhythmic skills by presenting a course of progressive lessons and studies specifically aimed at these areas. Many different rhythmic groupings and writing styles and clearly presented and analyzed. This book will provide invaluable assistance to all musicians and lead to a greater understanding of the fundamentals of rhythm. Through the development of the counting method employed in this book and the analysis of rhythmic structure-identification of the various notes, rests, groups and signs used-the student will attain greater ease and facility when approaching sight reading material.